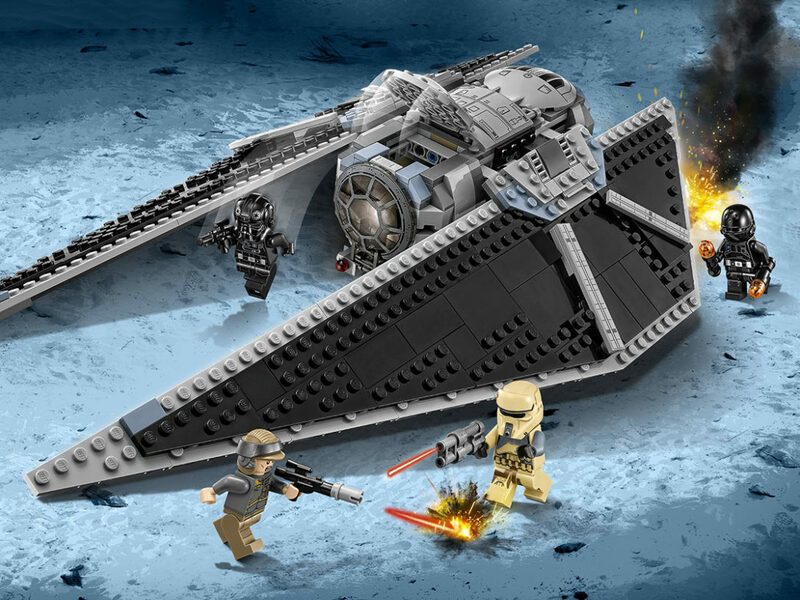 StarWars.com continues its look at the history of LEGO Star Wars, including the biggest brick-made Imperial starship! The first two parts (you can read them here and here) of “15 Years of LEGO Star Wars” looked at the introduction of the franchise in 1999 to 2005 and then from 2006 to the 10th anniversary of LEGO Star Wars in 2009. The third part of this retrospective will focus on 2010 to 2012 — some of the busiest years of the franchise. By the end of 2009, we’d seen over 270 different minifigures released in 210 sets (excluding the 3-in-1 sets that combine existing sets together and are not included in any counts here). 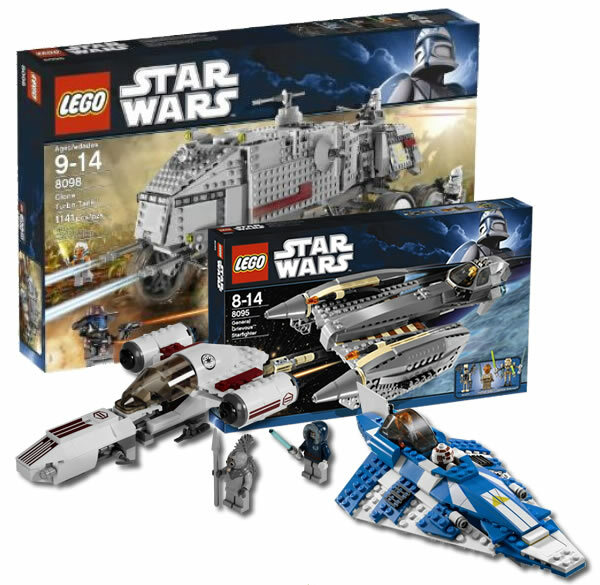 2010 was actually quieter than the 10th anniversary year of LEGO Star Wars in 2009, and a mere 26 sets were released, compared with 36 released in 2009. It was the 30th anniversary of The Empire Strikes Back and to celebrate that milestone, the year contained numerous releases from the film including a White Boba Fett minifigure polybag set that was made available at Star Wars Celebration V as well as numerous other places around the globe. There was also a promotional LEGO Star Wars book released that featured high-quality images of the minifigures released during the year — this was made available to “favorite customers” by mail as well as to those attending Toy Fair. In the UK a version of this book was given away in very small quantities at Argos with a LEGO Star Wars purchase. Regular retail releases included seven sets from Star Wars: The Clone Wars: the Freeco Speeder (#8085), Plo Koon’s Jedi Starfighter (#8093), General Grievous’ Starfighter (#8095), and the Clone Turbo Tank (#8098) — seeing its third release following the 2005 version, which featured a light-up version of Mace Windu’s lightsaber, and the 2006 non-light-up version; the 2010 release was the biggest yet with over 300 additional pieces. The Empire Strikes Back was well represented with five minifigure scale sets released, including two Battle Packs featuring Rebel Troopers (#8083) and Snowtroopers (#8084). 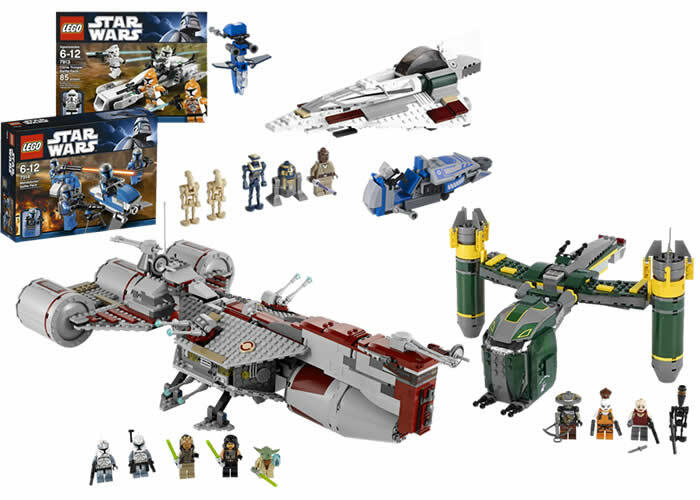 Boba Fett’s Slave I saw its third release — and the largest yet — coming in at 573 pieces; the three included minifigures included two exclusives to the set — Boba Fett with Pauldron, Han Solo, and Bossk. The AT-AT was also re-released (#8129) and featured fewer pieces than its two predecessors, coming in at just 815 pieces, although its minifigure count rose to eight, two of them being exclusive to this set (Han Solo and General Veers), whilst the remainder were available in other sets (2 x Snowtrooper, C-3PO, AT-AT Driver, Hoth Rebel Trooper, and Luke Skywalker Pilot). There was also one release from the Expanded Universe in the form of the never before released TIE Defender (#8087). Other exclusives available in 2010 included two different sets of LEGO Star Wars CubeDudes, as originally designed by Angus MacLane. The Bounty Hunter CubeDubes available at Star Wars Celebration V included Boba Fett, IG-88, Dengar, 4-LOM, and Bossk. 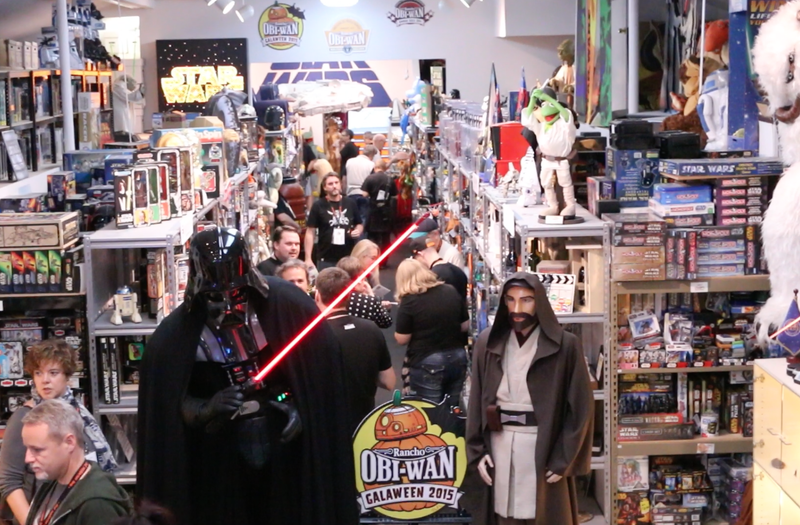 Meanwhile, at San Diego Comic-Con, the CubeDudes were based on characters from The Clone Wars and included C-3PO, Yoda, Obi-Wan Kenobi, R2-D2, and Captain Rex. Both sets were limited to just 2,000 pieces. There were four polybags released in 2010. Two of them were exclusive to the US as part of the BrickMaster subscription — Imperial Shuttle (#20016) and AT-AT Walker (#20018). Two other polybags were commercially available, the Chrome Stormtrooper was a Toys R Us exclusive and was available as a gift with purchase whilst the Republic Attack Shuttle (#30050) was available in the US from Target and Toys R Us. 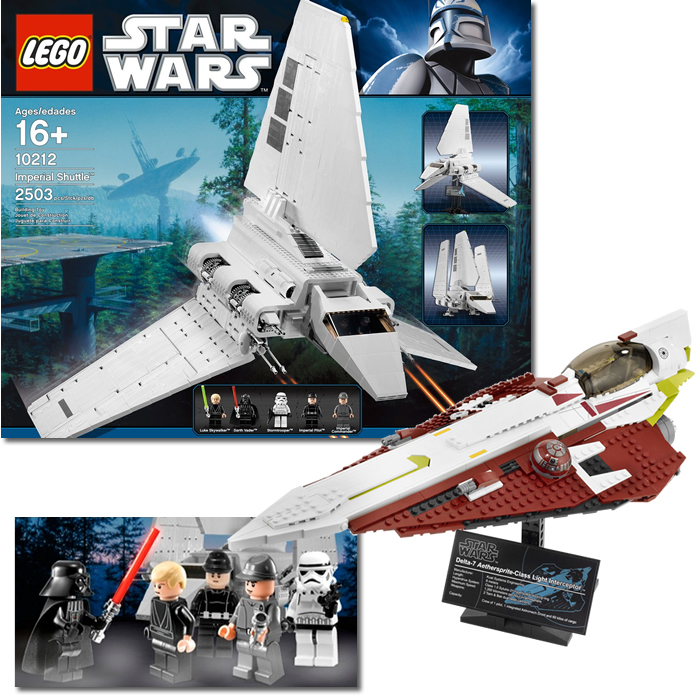 Two Ultimate Collector Series sets were made available during the year — Imperial Shuttle (#10212) which featured five minifigures (Stormtrooper, Darth Vader, Luke Skywalker, Imperial Officer and Imperial Pilot — the latter three being unique to this set) and Obi-Wan’s Jedi Starfighter (#10215), which was not in minifigure scale, but both came complete with display stand and stat sheet. 2011 was busier than 2010 and as you’ll see, the set count increases each year as we move towards 2014. 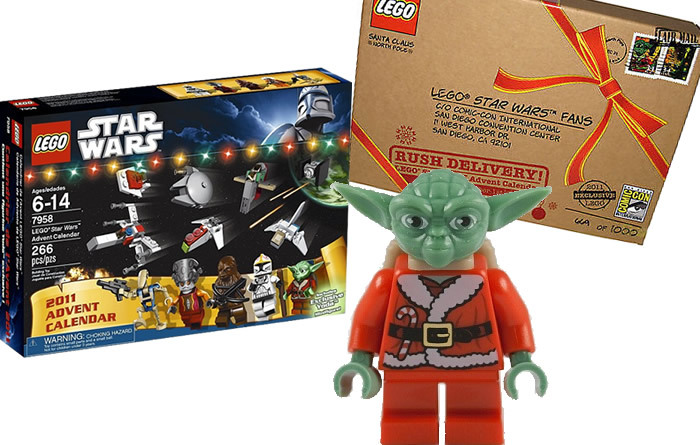 There were 29 sets released in 2011, including the first LEGO Star Wars Advent Calendar at the end of the year, which featured a total of nine minifigures, three of which were unique to the set (Yoda Santa, Clone Pilot with Black Head and Zev Senesca with Plain Helmet). At San Diego Comic-Con, attendees could buy the advent calendar earlier than its official release, and this limited edition came in its own present-like cardboard outer sleeve, the contents though were exactly the same as the standard release. 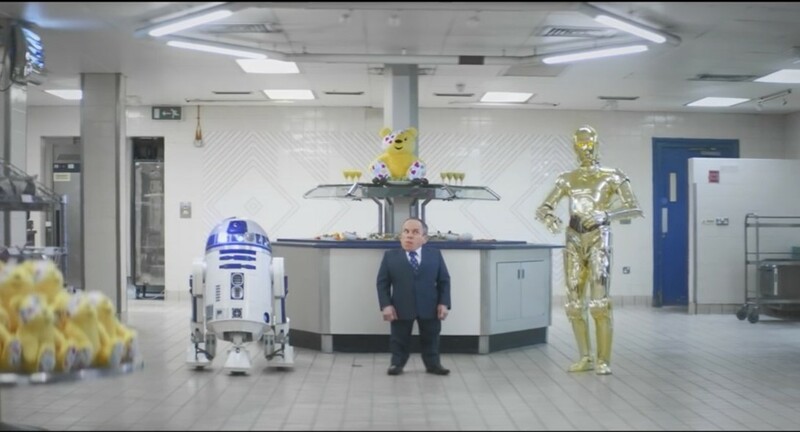 Just 125 people were invited to the LEGO Toy Fair party in New York and each attendee was given an exclusive LEGO Star Wars Miniland set featuring glued models of Han Solo and Chewbacca, along with a bag of 140 pieces and instructions to build a Miniland version of Boba Fett. There were nine minifigure sets from The Clone Wars released in 2011 — two were Battle Packs which featured Clone Troopers (#7913) and Mandalorian’s (#7914). First time releases included Mace Windu’s Jedi Starfighter (#7868), Bounty Hunter Assault Gunship (#7930), T-6 Jedi Shuttle (#7931), Republic Frigate (#7964) and Sith Nightspeeder (#7957). 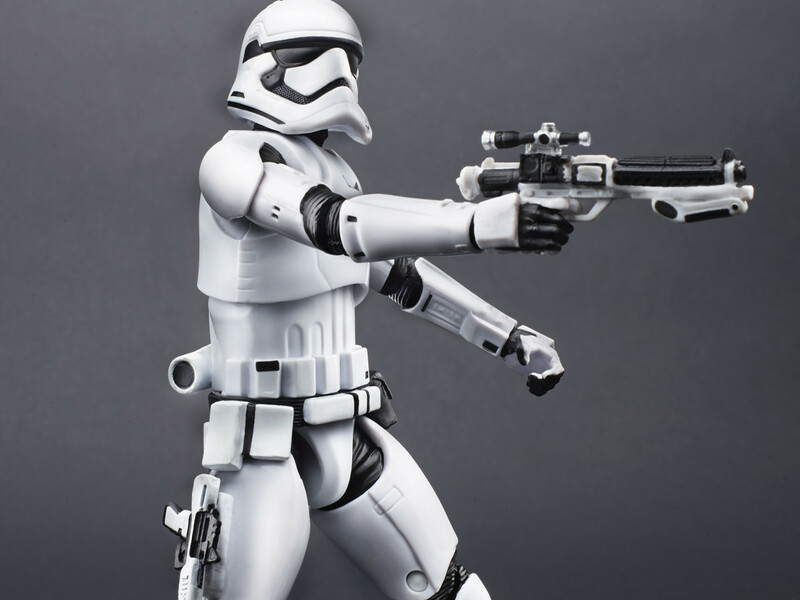 New minifigure releases included Savage Opress, Saesee Tiin, Shaak Ti, Sugi, Aurra Sing, Embo, TX-20, R8-B7, Eeth Koth, Quinlan Vos, Clone Commander Wolffe, and Wolfpack Clone Trooper. To support the 3D cinematic release of The Phantom Menace, which was coming in February 2012, a number of Episode I sets were released including a Naboo Starfighter (#7877) and Sith Infiltrator (#7961) — both of which hadn’t been available since 2007 and were the biggest versions of the sets released to date. The Sith Infiltrator came with four minifigures (Darth Maul, Captain Panaka, Padme Naberrie, and Qui-Gon Jinn), all exclusive to the set, including a new head piece for Darth Maul. There were also a number of original trilogy sets released including a new version of the Millennium Falcon (#7965), which came with six minifigures (Han Solo, Chewbacca, Luke Skywalker, Obi-Wan Kenobi, Princess Leia, and Darth Vader). 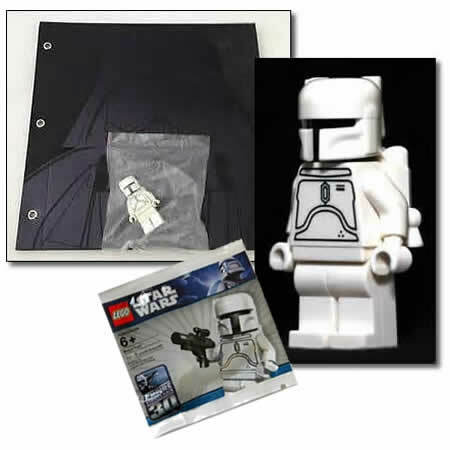 There were eight polybags released during the year, two of which were only available in the US as part of the BrickMaster subscription — Slave I (#20019) and Bounty Hunter Assault Gunship (#20021). The others included a Mini X-wing (#30051), AAT (#30052), Republic Attack Cruiser (#30053), AT-ST (#30054), Vulture Droid (#30055), and the May 4th release of Shadow ARF Trooper. There was only one UCS release for the year and it’s still the largest LEGO Star Wars release available today. The Super Star Destroyer (#10221) measures over 124 cm long and is made of 3,152 pieces. 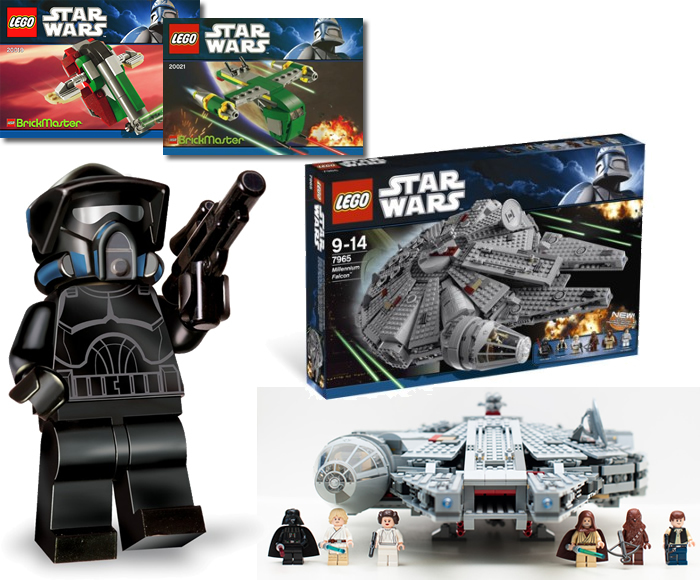 It comes with five minifigures of which three are unique to the set Dengar, a redesigned IG-88, and Admiral Piett. In addition, Bossk from 2010’s Slave I was also included alongside Darth Vader. 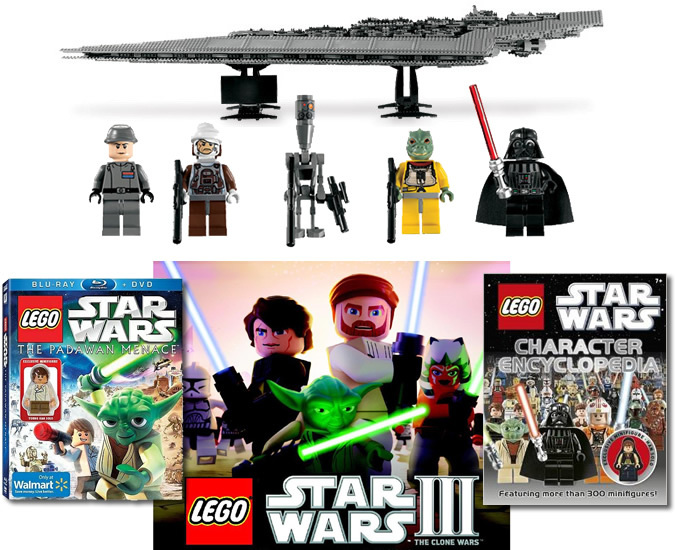 2011 also saw the release the video game LEGO Star Wars III: The Clone Wars on Nintendo Wii, Nintendo DS, Nintendo 3DS, Playstation 3, PSP, Xbox 360, and Windows PC. A 22-minute animated LEGO Star Wars short was also released in 2011 called The Padawan Menace. When it was released later in the year on Blu-ray, it came with a minifigure of young Han Solo (as featured in the animated short). Finally, the LEGO Star Wars Character Encyclopedia was also released by DK and came with an exclusive minifigure featuring Han Solo with his Medal of Yavin (as Luke did with the original release of the LEGO Star Wars Visual Dictionary in 2009). 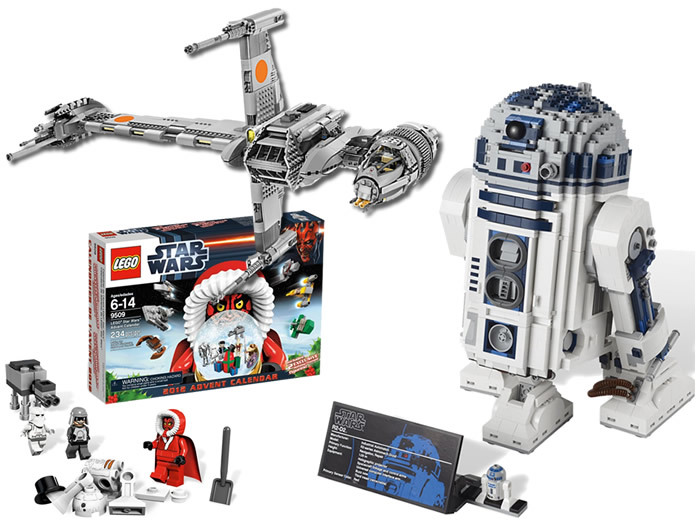 The set count grew in 2012 to 35, with a new range of LEGO Star Wars products called Planets. Each Planet came with one minifigure, a planet, and a mini model of a related ship or vehicle. There were two waves of three Planets released in 2012. The first wave consisted of Naboo Starfighter & Naboo (#9674), Sebulba’s Podracer & Tatooine (#9675), and TIE Interceptor & Death Star (#9676). Also new in 2012 were a new line of exclusives that we now know as Microfighters. There were three Microfighters released in 2012 — Sith Infiltrator with Darth Maul at San Diego Comic Con, Slave I with Boba Fett at Star Wars Celebration VI and Landspeeder with Luke Skywalker at New York Comic Con. 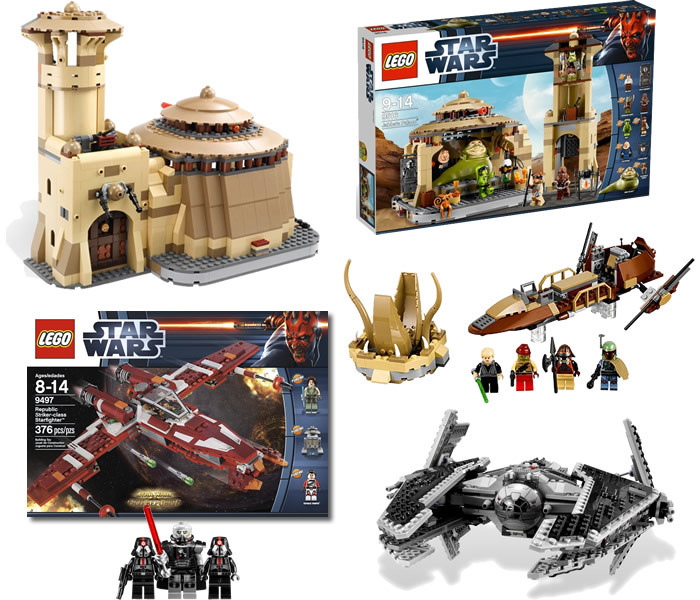 There were five minifigure sets from The Clone Wars, two from The Old Republic, and five original trilogy sets including two from Return of the Jedi — Jabba’s Palace (#9516) was made up of 717 pieces compared to the first release in 2003, which was made up of just 213 pieces. Jabba’s Palace included nine minifigures, with Chewbacca being the only repeat figure at the time of release (Chewbacca, Jabba the Hutt, Han Solo, Bob Fortuna, Glamorgan Guard, Oola, Boushh, Salacious B. Crumb, B’Omarr Monk). This was a great set offering lots of playability and a huge improvement over the first release. 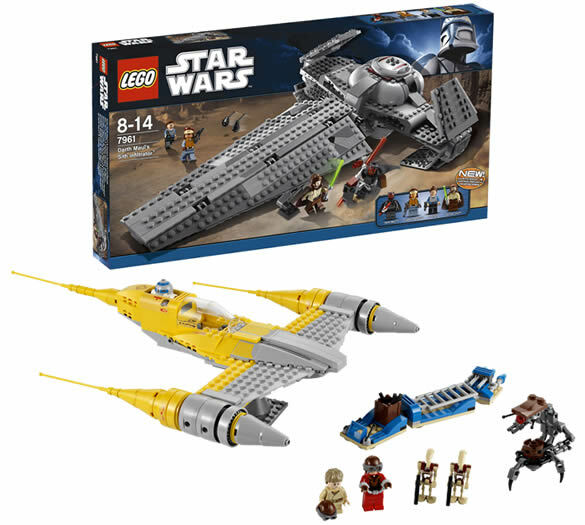 To accompany this set, LEGO released the Desert Skiff (#9496), which also came with the Sarlacc mouth as well as the Skiff and four unique minifigures (Luke Skywalker, Boba Fett, Kithaba, and Lando Calrissian Skiff Guard). The two sets from The Old Republic were the Republic Striker Starfighter (#9497) with Jace Malcom Republic Trooper, T7-O1 Astromech Droid & Satele Shan, and Sith Fury Interceptor (#9500) Darth Malgus and two Sith Troopers. 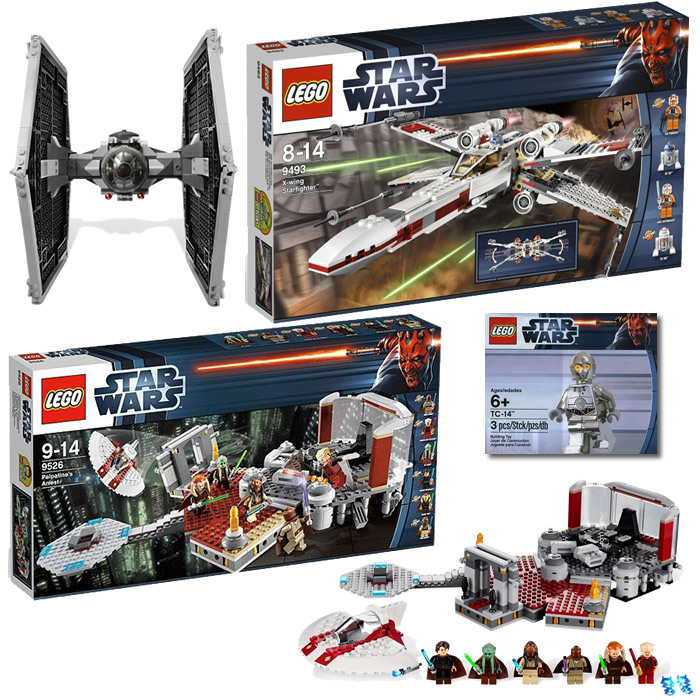 Original trilogy sets included the X-Wing (#9493) with an exclusive Jek Porkins minifigure and TIE Fighter (#9492) with four minifigures including the TIE Fighter Pilot and three unique figures of Death Star Trooper, R5-J2, and Imperial Officer. These were the first minifigure versions of the X-Wing and TIE Fighter since 2006 and 2005 respectively. There were six polybags released in 2012 which included the Star Destroyer (#30056), Anakin’s Pod Racer (#30057), STAP (#30058), MTT (#30059), Darth Maul (given away at New York Toy Fair and in the UK at LEGOLAND Windsor in April), and finally TC-14 which was the May 4th giveaway with a minimum purchase along with an exclusive R2-D2 poster. In 2008 Toys R Us asked LEGO Star Wars fans to vote on three sets to be made, and while the Home One Mon Calimari (#7754) won and was released in 2009, the runner up was Palpatine’s Arrest. Palpatine’s Arrest (#9526) was released as a Toys R Us exclusive in 2012 and included six unique minifigures (Chancellor Palpatine, Anakin Skywalker, Mace Windu, Saesee Tiin, Agen Kolar, and Kit Fisto). 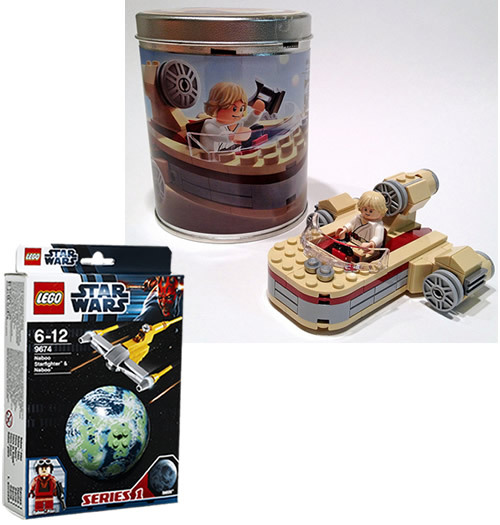 Two UCS sets were released in 2012. R2-D2 (#10225) consisted of 2,127 pieces and came complete with display stand with sticker for stats and also a space to display the accompanying R2-D2 minifigure. 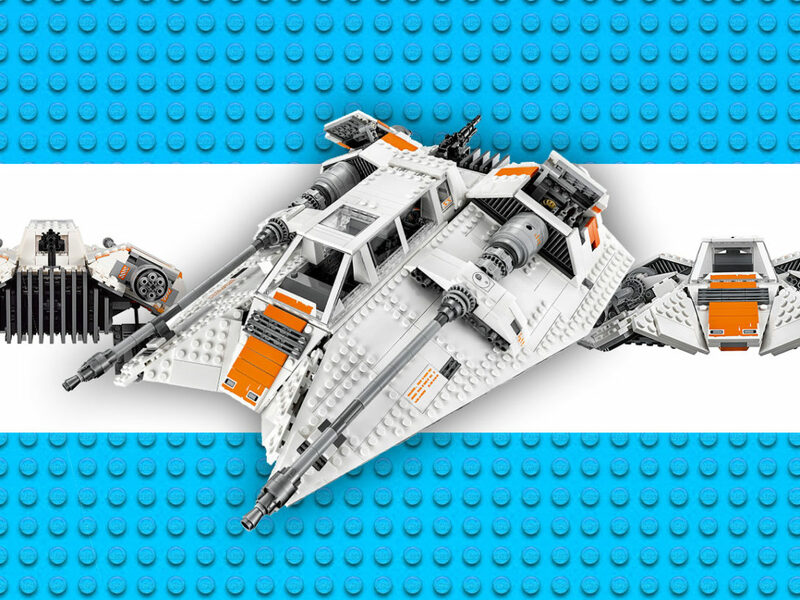 The second UCS set was the B-Wing Starfighter (#10227), which came with 1,487 pieces, display stand, and spec sheet. 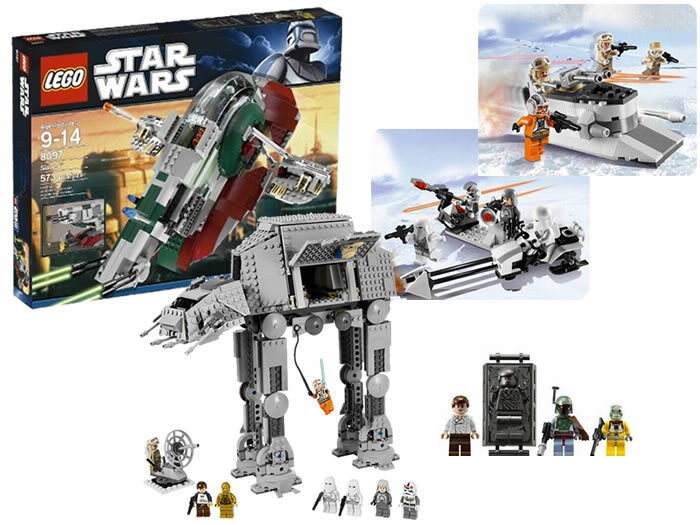 Following on from the success of the first LEGO Star Wars Advent Calendar in 2011, LEGO brought out a new version for 2012. 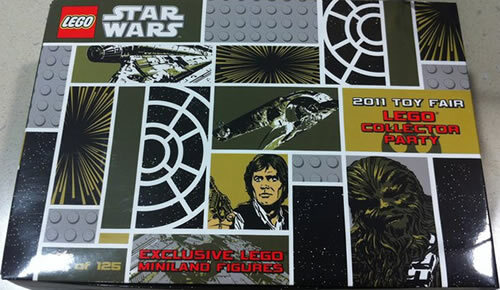 The 2012 edition included 10 minifigures and featured Darth Maul as Santa. In addition to Darth Maul other unique minifigures included were R2-D2 as a snowman, Hoth Rebel Trooper with Moustache, Imperial Officer with Chin Strap, Snowtrooper with light bluish grey hips, and Gonk Droid. 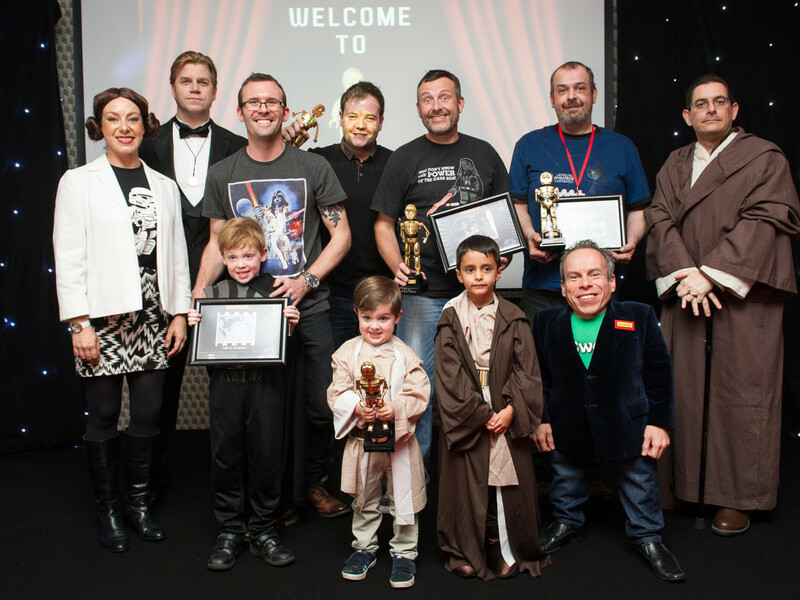 Phew — what a busy few years in the world of LEGO Star Wars! 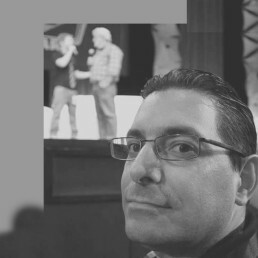 Come back soon for part four, featuring a look at 2013 to present day, and that’s coming very soon.